Welcome to Century 21 Gibraltar. 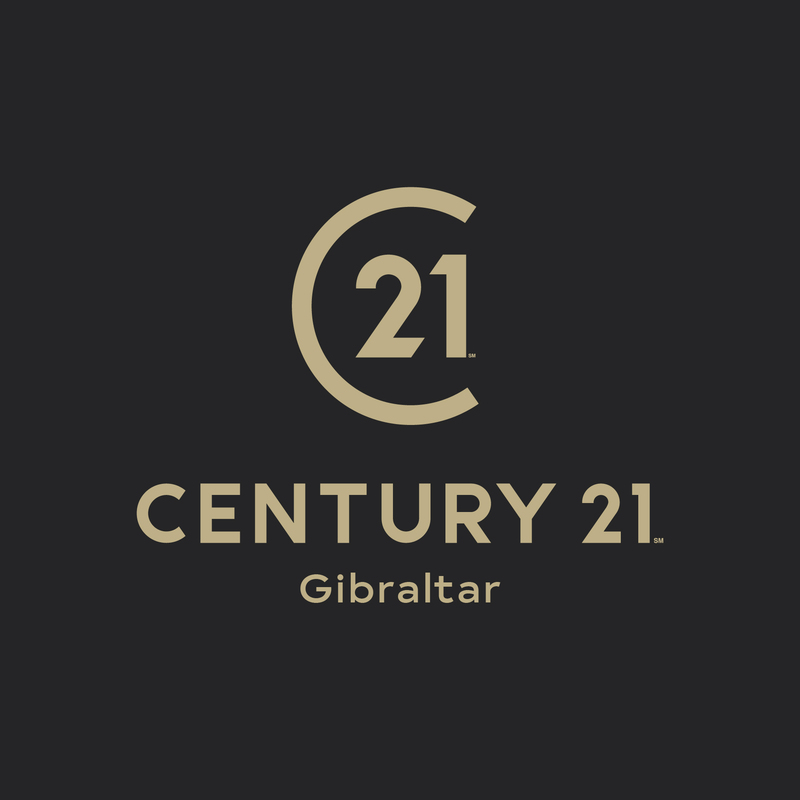 Douglas Villalta and his team are proud to represent Century 21 in the British Overseas Territory of Gibraltar. Century 21 Gibraltar has opened an impressive office in the very heart of Main Street, Gibraltar’s commercial area. Home Coast Ltd now Century 21 Gibraltar have been responsible for a number of high-profile residential developments and commercial acquisitions locally, in addition to also specialising in property sales, rentals, property management and commercial sales and being one of the few local firms in Gibraltar with a RICS affiliation. Whether you are thinking of selling or letting your property or conversely buying or renting for yourself, it is important that you have the correct strategy to achieve the best results. Please contact us for a free market appraisal and to discover how your property can benefit from a dynamic tailored marketing strategy. If you are planning to buy or rent, please register with us, we would be delighted to help you find your new dream home. Discreet Marketing – privacy, exclusivity and greater control. Please click here to view our tenant fees and charges (opens as a PDF). Century 21 Gibraltar are not part of a Client Money Protection Scheme. All deposits we take are protected. When you have read the below sections, please tick the box and click the ‘Contact’ button to complete your entry. SDL Group (franchisor of Century 21 offices in the UK) will be what’s known as the ‘Controller’ of the personal data you provide to us. We only collect basic personal data about you which does not include any special types of information or location-based information. We need to know your basic personal data in order to get in contact with you to respond to your message, request or query. All of the personal data we process is processed by our staff or our franchised offices in the UK. Many of our franchisees are long-serving and are respected for having genuine, in-depth knowledge of the property market in their local areas. We work hard to ensure that all of our nationwide team uphold our core values in providing personal, professional and straightforward service to our clients. We believe that our customers should only deal with one point of contact to market and negotiate the sale of their property. This person remains accountable, and in constant communication, throughout the process. We combine the personal approach of a local estate agents with the marketing and selling power of a global brand. By adopting new technology, embracing a changing property market and offering a comprehensive range of ways for our clients to sell their homes, we continually strive to create the best estate agency experience possible. Our website is constantly reviewed to ensure that it remains state-of-the-art and user-friendly, and we work hard to reach as many people as possible through the latest marketing techniques. In addition to residential estate agency and lettings, the SDL Group offers national coverage in surveying, auctions, block management, mortgages and insurance broking. If you need advice in any of these areas, one of our team will always be able to point you in the right direction. © Copyright Century 21 United Kingdom 2019. Each office is independently owned and operated. 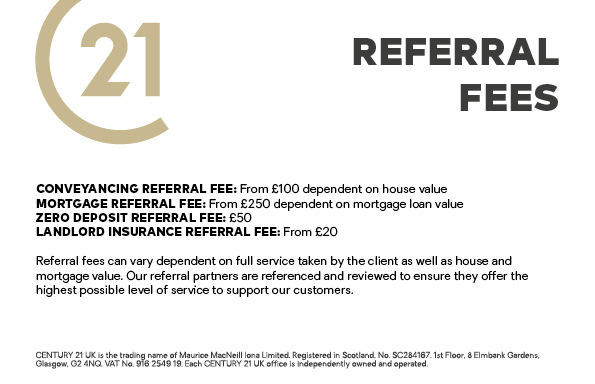 CENTURY 21 United Kingdom is the trading name of Maurice MacNeill Iona Limited, registered address at 1st Floor, Elmbank Gardens, Glasgow, Scotland, G2 4NQ. Registered in Scotland, No. SC284167. VAT No. 916 2549 19.
in relation to property in the UK or indeed any other country.